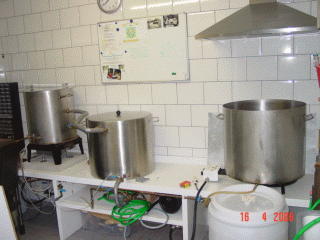 The construction of a RIMS / HERMS brewing setup is not trivial. It takes quite some planning and involves many hours. There are a few topics to watch for specifically. I will try to explain them here. Welding, Soldering or quick-connect couplings? The welding rods should be stainless steel (they have a pink tip at one end). Do not use normal rods, because the welded parts will rust. Make sure you practiced before you start. Or better: have it done by a professional. If you explain where you need this for and you throw in some beer, everybody will help! I did not weld anything, because I am too clumsy when it comes to welding. After welding, metal pieces fly around when things cool down. You may seriously damage your eyes. Always wear protection! Do NOT buy the standard pipes in the regular do-it-yourself store. You MUST have the stainless steel versions, not the galvanised ones. I made this mistake and the pipes started to rust after 1 brewing session. So I had to remove them again (not an easy job). In the end I chose for welding, soldering and quick-connect couplings. A connection between a copper pipe and a stainless steel pipe is done with a quick-connect coupling. Copper to copper is always done by soldering. Soldering copper is not difficult (I can do it!). In every do-it-yourself shop you can buy the necessary equipment (see picture). 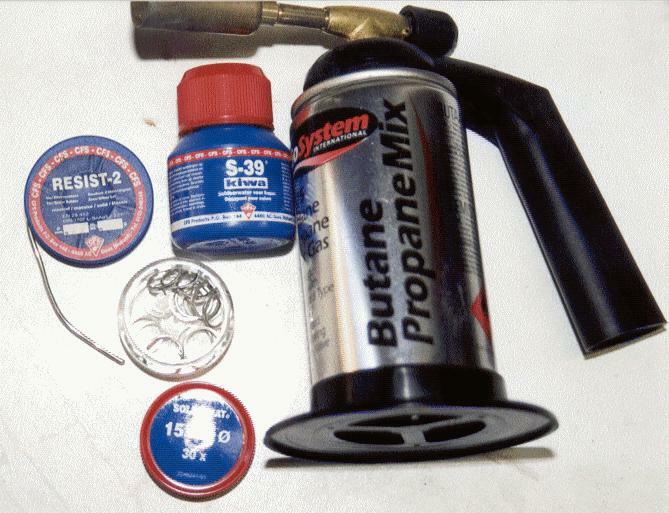 Buy a burner, soldering fluid and tin-solder (the one with silver in it, should be lead-free). A large variety of angles, T-parts, connectors are available. I use one default size (15 mm). This is convenient during construction, because I only need standard components. During soldering I scour all parts with sandpaper, I add soldering fluid and heat everything with the burner. If it is hot enough, touch it with the tin-solder and it will very nicely flow around. I let it cool down for a moment and then you have a water-tight connection. Remove the remaining soldering fluid. Drilling stainless steel is not an easy job. You need a good drill with quality bits. I usually start with a 6 mm bit, followed by a 15 mm bit. Make sure you drill slowly with a constant pressure. 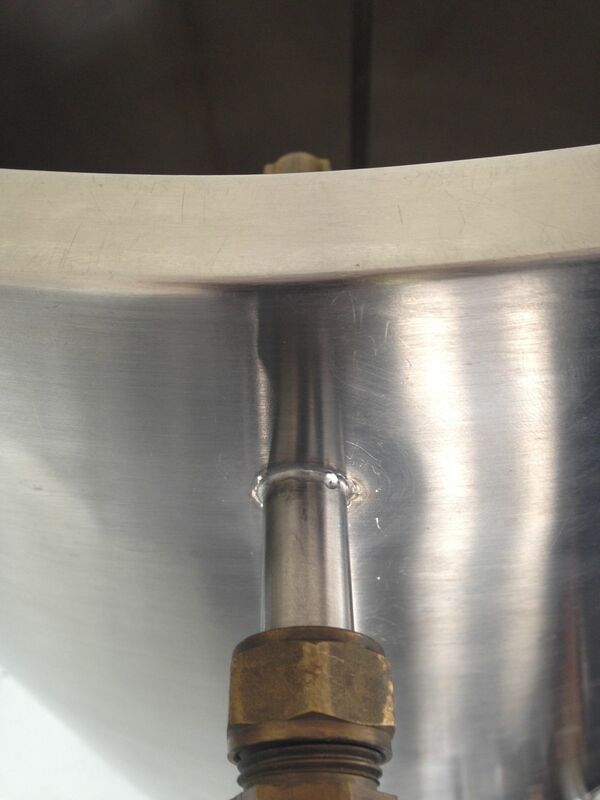 If you are almost through, the drill might stick suddenly in the stainless steel. If you don't pay attention or you drill too fast, you will injure your wrists! One more thing: make sure the drill is not in the knocking position. You will continue to drill forever (yes, I experienced that too).